Communications can change the way you do business overnight . . .
On October 24, 1861 the transcontinental telegraph system was completed. Information that used to take ten days to cross the country on horseback now moved from New York to Sacramento by telegram in less than ten minutes. 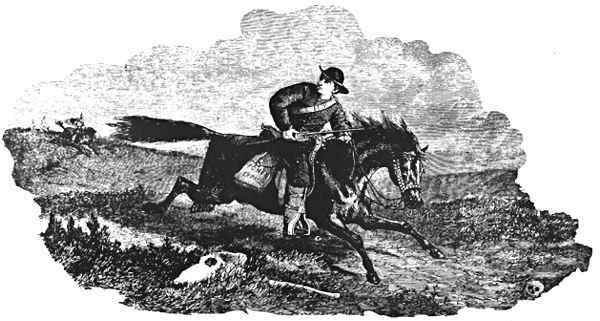 Two days later, the Pony Express went out of business. This is something to consider if your business depends on rapidly changing communications technology to succeed. Call us to discuss your telecommunications needs, network design, equipment selection, or any other telecom related project. It may be the most important call you ever make. "Mike Sandman, Chicago's Telecom Expert"
New! Excerpts from our telecommunications technical training videos! Now available on You Tube, excerpts from my ever popular ISDN and T-1 training videos. Click Here for our Video Page. The full length videos are available from Mike Sandman Enterprises. Look for "Introduction to T-1" and "Real World ISDN"
Copyright ©1996-2008 by AHK & Associates, Inc.